Home » Listings » Roomy Beavercreek Ranch! 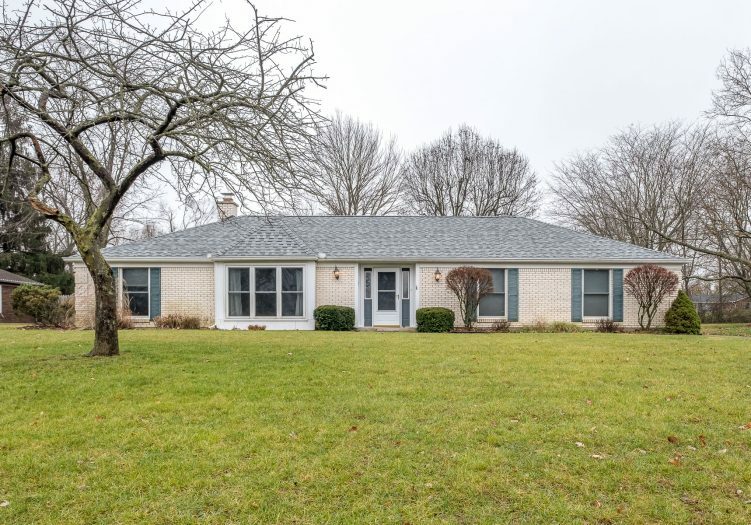 You’ve found it – this 4-bedroom ranch offers plenty of space inside and out! Formal living and dining rooms at the front of the home will be perfect for holiday entertaining. The kitchen with maple cabinets, crisp white appliances, and a breakfast area is both cheerful and functional. This winter, you won’t want to leave the family room with wood burning fireplace! A fourth bedroom/study and half bath are located off the family room. Down the hall, the spacious master bedroom boasts an en-suite bath. Two additional bedrooms and a full bath complete the plan. Outside, you’ll love the fenced yard, large driveway, and shed! Updates include: roof (2018), HVAC (2010), water softener (2016), and replacement windows. Convenient Beavercreek location!